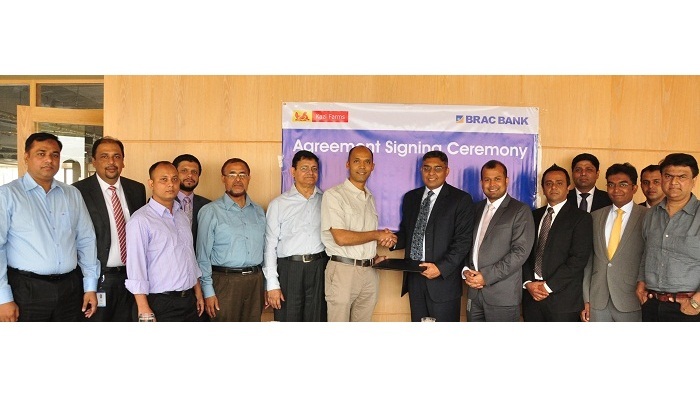 BRAC Bank Limited signed an Employee Banking Service Agreement with Kazi Farms Group. Under this agreement, BRAC Bank will provide salary disbursement services and all Retail Banking facilities, i.e. Credit Card, Personal Loan, Home Loan, Car Loan, etc. to the employees of Kazi Farms Group. Nazmur Rahim, Head of Retail Banking, BRAC Bank, Kazi Zeeshan R Hasan, Director, Kazi Farms Group, exchanged the agreement documents. Kyser Hamid, Head of Retail Sales, and Sajid Rahman, Head of Large Corporate Unit-1, BRAC Bank, Md. Shamsul Karim Chowdhury FCA, Chief Financial Officer, Kazi Farms Group, along with other senior officials from both the organisations were also present at the signing ceremony.